Everyone knows that beavers build dams, but did you know that beavers helped build the country of Canada? Not literally, of course. Early French explorers were quick to notice the semi-aquatic rodents’ water-resistant pelts and their value as a trade good. Fur trading--especially beaver pelts--became the backbone of the colonial Canadian economy, and remained so for roughly 300 years. The Hudson Bay Company was the first to make the beaver part of their coat of arms (in 1621), and the animals appeared on Canada’s first postage stamp (1851). Given their economic contribution and their history as a trade symbol, it seemed appropriate to name them as Canada’s official national animal (1975). While previously endangered, the beaver population has more than recovered and more than ten million exist in the wild today. 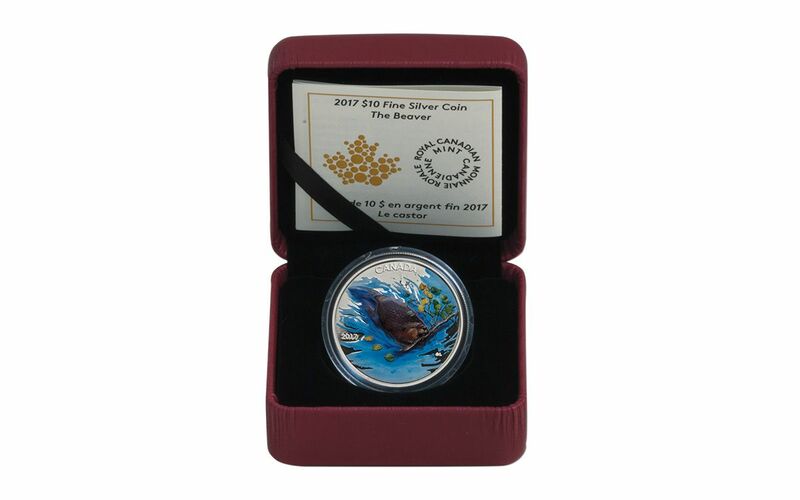 Unfortunately, we can’t say the same for these CAN 2017 $10 Silver The Beaver Matte Proof coins. Get yours while supplies last! 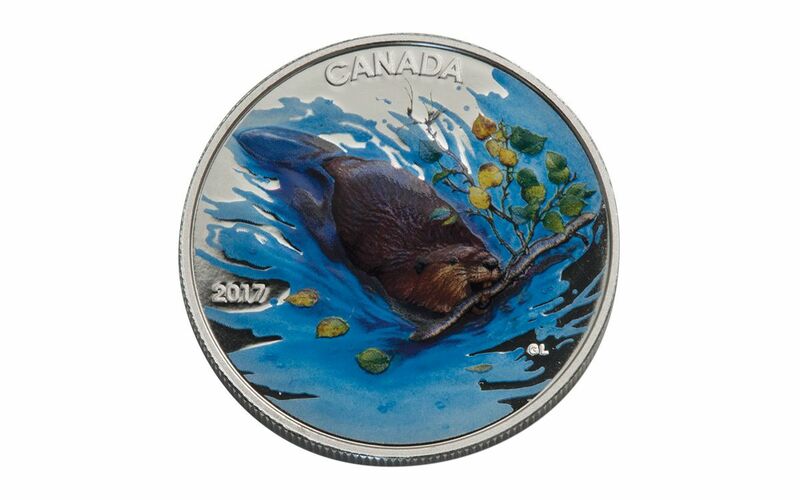 NATURE IN MOTION-- Each of these beautifully colorized, matte finished ten-dollar coins captures the industrious nature of Canada’s national animal. From the rippled surface of the water in which the beaver is swimming to the texture of the aspen branch clenched tightly in the beaver’s famously sharp teeth, the engraved details on the reverse really bring this composition to life. The reverse also features the inscriptions "CANADA," "2017," and "CL." DAM PURE SILVER-- Each coin was struck from 15.87 grams of 99.99% pure silver. 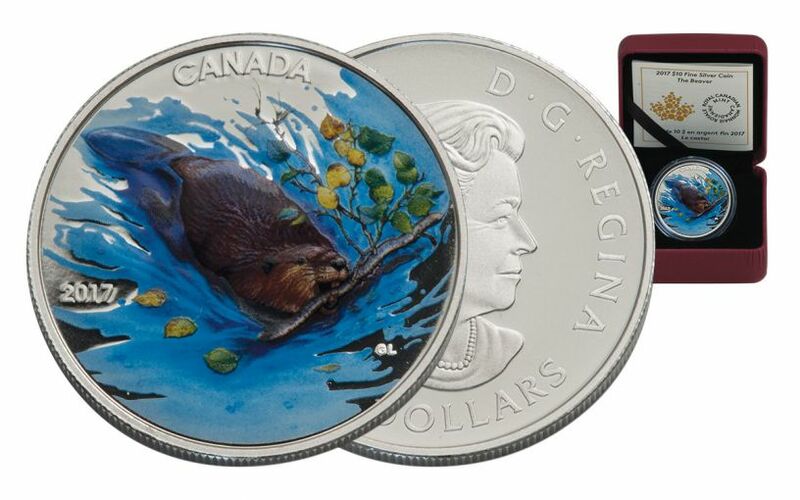 A typical adult North American beaver weighs as much as 1,260 of these coins (20 kilograms). 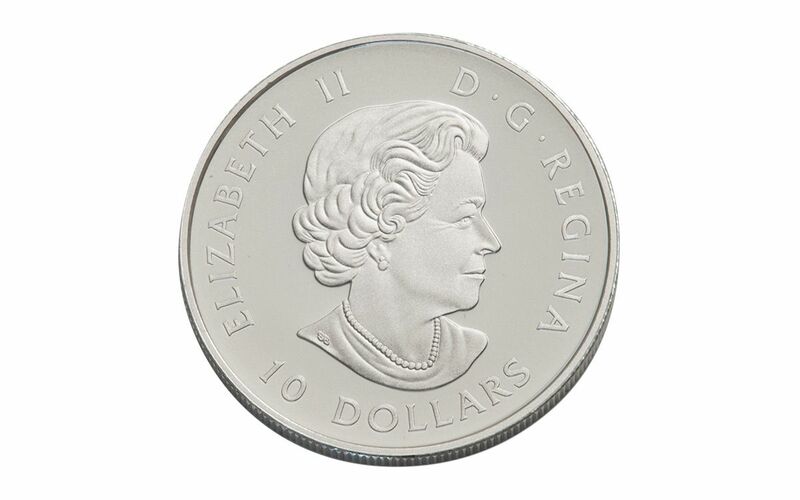 CANADIAN LEGAL TENDER-- Each coin counts as $10 CAN, a fact reflected on the obverse with the inscriptions "10 DOLLARS," "ELIZABETH II," and "D.G. REGINA." In 1837, ten shillings would buy you a beaver pelt in the "Columbia district." BUILT FOR SHOW-- These matte proofs will arrive housed in a maroon clamshell case with luxurious black interior, perfect for display in your home, office, or woodshop. Each coin also includes its certificate of authenticity. NOT ENDAGERED, BUT RARE -- Only 15,000 of these proofs were minted, making this beaver coin far more rare than an actual beaver. As cute as it would be to see historic photos of industrious beavers slapping mortar onto houses and buildings with their flattened tails alongside humans like something out of Planet of the Beavers, these animals’ contribution was more economic than labor-intensive. Nonetheless they deserve recognition, and what better way than to pay tribute with a collectible coin in the country they helped build. Order today!